1 witcher 3 | This Blog Rules | Why go elsewhere? 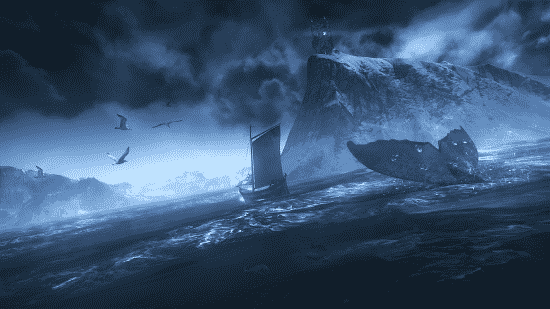 The game world in The Witcher 3 moves in such a way that we haven’t ever seen before. The world in this game lives and breathes and while it isn’t the biggest one we’ve seen it feels incredibly busy with humans and others roaming around its vast lands continuously. The Northern Kingdoms are incredibly beautiful but hauntingly eerie at the same time. For every artfully placed castle inside the beautiful land, there is a tree with hanging bodies from it. While you’ll always be delighted by wonderful views, you will also get to see some morbid scenes just lurking around the corner. So without further ado, here is our Witcher 3 review. Enjoy. 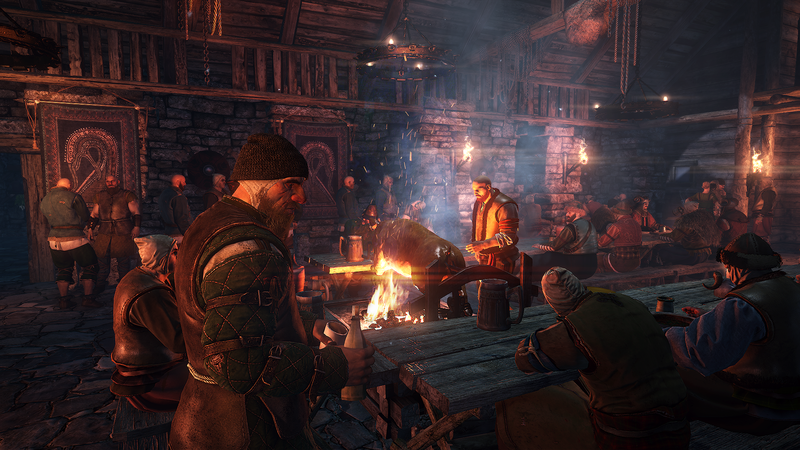 The world inside The Witcher 3: Wild Hunt is filled with suffering. Humans are generally spread through the many villages that you can move between as you please, on foot or by horse, once the game map opens to you after the beginning. The peasants inside these towns are an easy prey for the creatures that usually surround these places. You play as Geralt, a monster hunter, and you get to move from location to location fighting the oppressors of the villagers for money. The Witcher 3: Wild Hunt is best enjoyed when you wander around, completing side quests from the people inside the world and contracts from noticeboards scattered throughout towns. The story centers on the adopted daughter of Geralt called Ciri. She can easily teleport between many worlds as she is a child what is called the elder blood. The Wild Hunt, some odd riders in this world want to grab that ability so they can use it to invade worlds as they please. Your mission is to find Ciri before they get ahold of her, which is a good reason to travel around meeting the most powerful people of each region, such as the criminal gangs from Novigrad, the capital city, the Bloody Baron from the swamps of Velen and the would-be queens and kings of the isles of Skellige, which is easily the most incredible location in Witcher 3. Unfortunately, all these places suffer from very noticeable frame rate issues on the PS4. CD Projekt RED did promise to optimize all these issues in a patch but it’s very possible that some of these problems will remain unsolved for quite some time. The frame rate really affects the combat and even in some cut scenes slowdowns are pretty obvious. Issues are also noticeable in dense areas such as Velen during intense weather conditions. The frame rate really creates problems with the combat system, which is largely the same as the one found in Witcher 2. 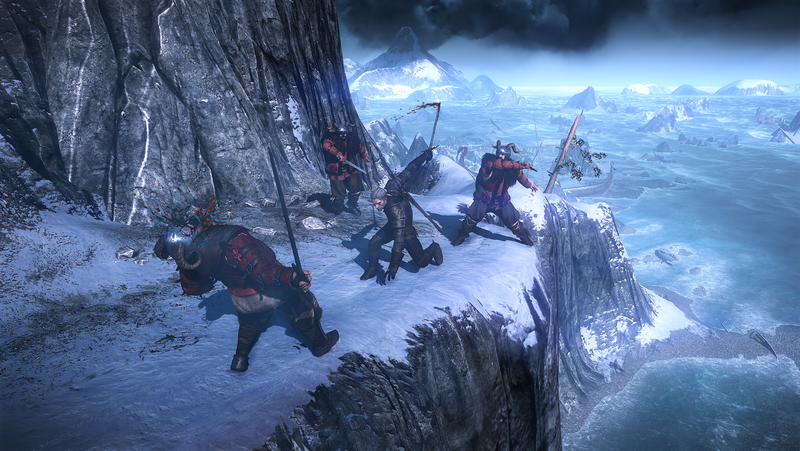 This means that it also inherited all the problems present in the last combat system used in Witcher 2. You attack by combining strong and light strikes of the sword, and you can also use numerous magical signs in order to protect yourself or attack the enemies around you. The Quen spell creates a shield that protects you against blows, the Igni spell creates a flame blast to roast your enemies, Yrden creates a trap that slows your opponents, Aard pushes the enemies back and the Axii spell stupefies them. You can theoretically use the long range dodge to get out of the way of monster attacks and the short range dodge can be used to pirouette around blows so you get a chance to counter attack. However, when put into practice, both of these dodges are pretty unreliable. You should expect to take a lot of hits, even in some cases where the enemy clearly didn’t even get near you. This issue is fixed when you play as Ciri in one of her few playable flashback sections. She uses a short range teleport as her dodge, which is clearly a lot more pleasing. You feel more like a blade master when fighting harpies and humans. You can shoot down harpies with a small crossbow then apply a finishing move and you can parry humans, which adds a great layer of interaction. But other than these, your set of moves is pretty light. The distinction between strong and light attacks is pretty much meaningless and your character doesn’t really get back quickly enough at an opponent after using a dodge. Geralt really feels a lot clumsier than it’s implied by his complex animations and a lot less deadly, despite the bloody mess that happens when he gets to apply a finishing move on one of his enemies. You can fix these problems in a small amount by using the upgrade system. The upgrade system gives you the ability to invest your level up points in skills regarding close combat which will increase your damage. You can also upgrade the signs in order to unlock new forms. The move that lets you take less damage during dodging is pretty useful. Some others include the variation of Quen which allows you to keep a button pressed to cast a shield that heals you when you get hit; the variation of Igni that continuously shoots embers from your hands, which is both amazing to look at and extremely deadly. The combat is less frustrating at lower levels of difficulty, where the enemies aren’t very resilient. Scents, magical artifacts, blood, and footprints light up so that you can identify monsters and follow prey. You have to do this many times but it doesn’t really get annoying. This way you get to travel through different places in an interesting way and the mysteries that you investigate are very absorbing. When you go to one of the islands in Skellige in order to find a lost expedition, the entire island becomes an enormous and fascinating crime scene. There are other plots in the game that are just as interesting and are filled with compelling takes on the curses and creatures from old European folklore. Those stories have very ancient roots and they convey an earthy and grim texture to the game world in Witcher 3. This is a unique quality to all the games in the series. The main plot of the game isn’t very complex and falls a bit short as you spend a lot of time chasing people that have a more exciting and important adventure than you. However, the excellent side quests make up for this with an excellent compilation of fantasy stories. 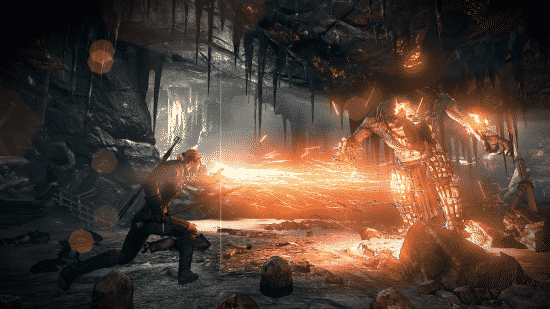 Loot has an important role in Witcher 3: Wild Hunt because of how much you can customize your armour and weapons. Different sets of armour are wonderful to uncover and the weapon upgrades are pretty interesting as well. 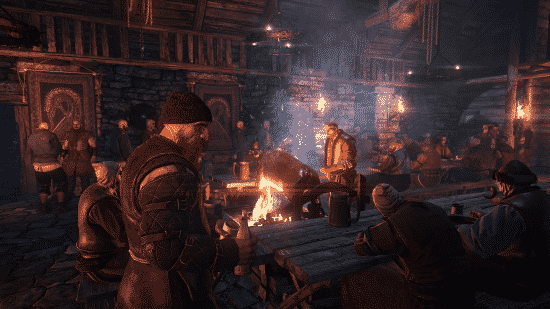 In a lot of RPGs, hunting for loot may become a chore that you mark off on an imaginary to-do list but in Witcher 3 discovering something new is a great cause for celebration. You can get a haircut and a shave but other than this you won’t be able to customize Geralt’s physical appearance all that much. The Witcher 3 also has a complex potion system, which will allow you to create potions during combat. However, as before, Witcher potions are very dangerous and you won’t be able to use too many on account of their toxicity. Great facial animations and good voice acting make the creatures and characters you meet very interesting but you should be aware that you will meet many returning characters from the previous games in the series as well. If you don’t know anything about the Lodge of Sorceresses, the betrayals and wars that happened before the game or the Yennefer/Triss/Geralt love triangle you will be baffled by many moments in the story. You should really play The Witcher 2 before you start this one, or at least read a little about the series. I honestly hope future updates will fix the technical issues in Witcher 3. They are the main defect in an otherwise lengthy and rich role playing game. However, even despite these problems, The Witcher 3: Wild Hunt represents a leap in terms of fidelity and world design and this is why it should be savoured at its best. Even though the controls are a bit unreliable, the frame rate issues are pretty obvious and the straightforward and dull main story is nothing to get too excited about, the chance to adventure in a rich and wonderful world is reason enough to play this game. Even though the game plot isn’t extremely interesting, the people you find inside the game world are totally worth your time. So there you have it. This was our Witcher 3 review. All in all it is a great game and its imperfections are not a deal breaker for this amazing role playing experience.